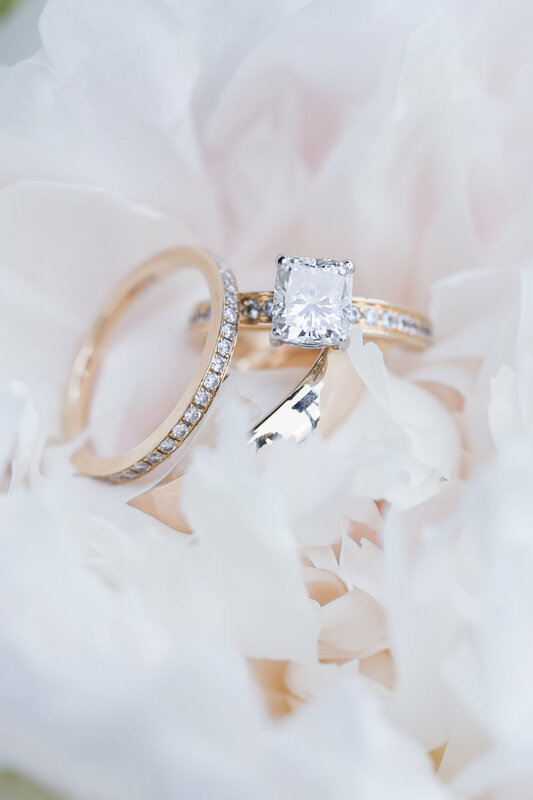 There is no better way than starting a weekend with beautiful wedding pictures! 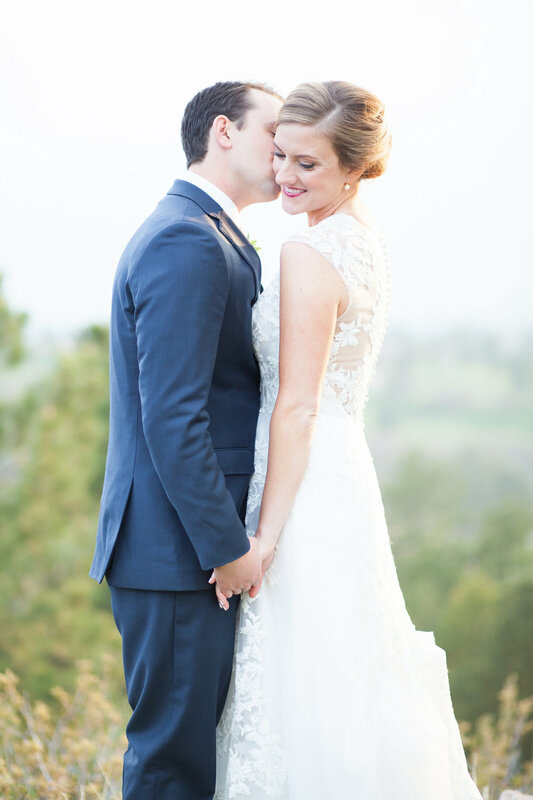 Molly and Jake exchanged their vows in May at The Sanctuary Golf Course in Sedalia, Colorado and even though it was cloudy on their special day every detail in these photos looks absolutely breath-taking. 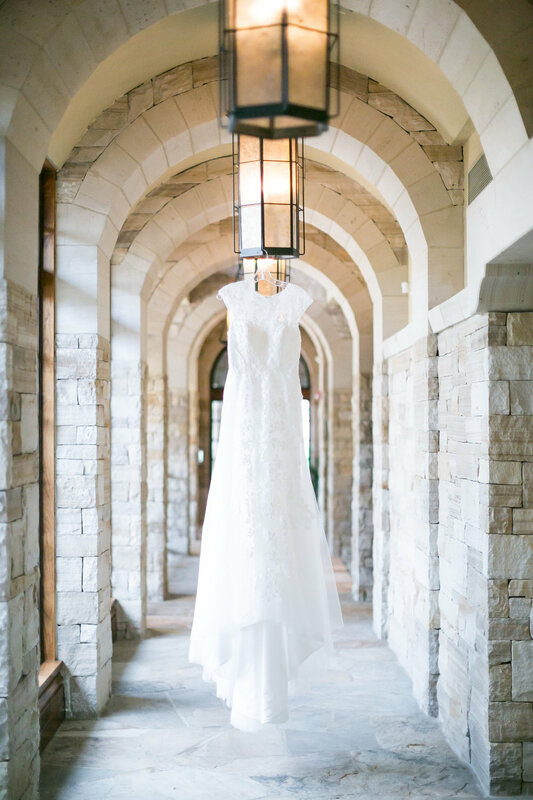 The lush greenery of the golf course perfectly matched the bouquets and clearly the regal rock hallway is an amazing setting for stunning wedding portraits! 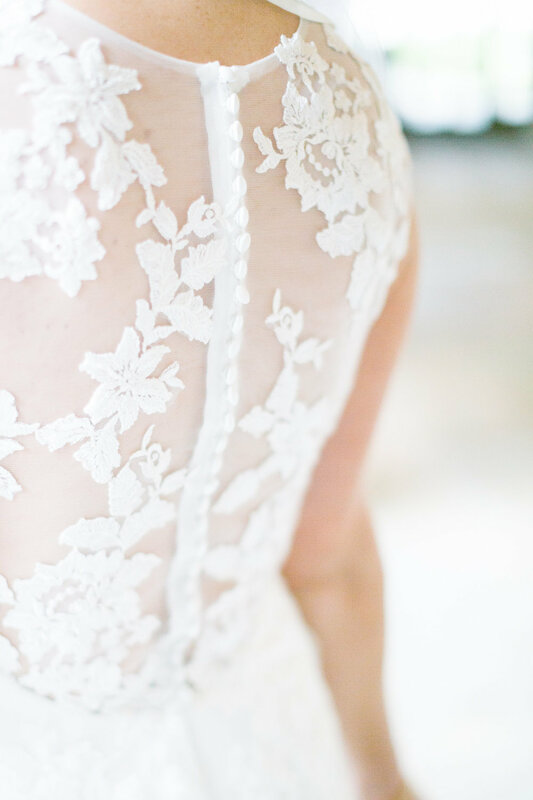 Molly fell in love with "Germaine" from Lis Simon and it means the world to us that we were able to help her find the gown of her dreams. With a flowy A-line tulle skirt and an illusion jewel neckline and back this gown is the definition of romantic. 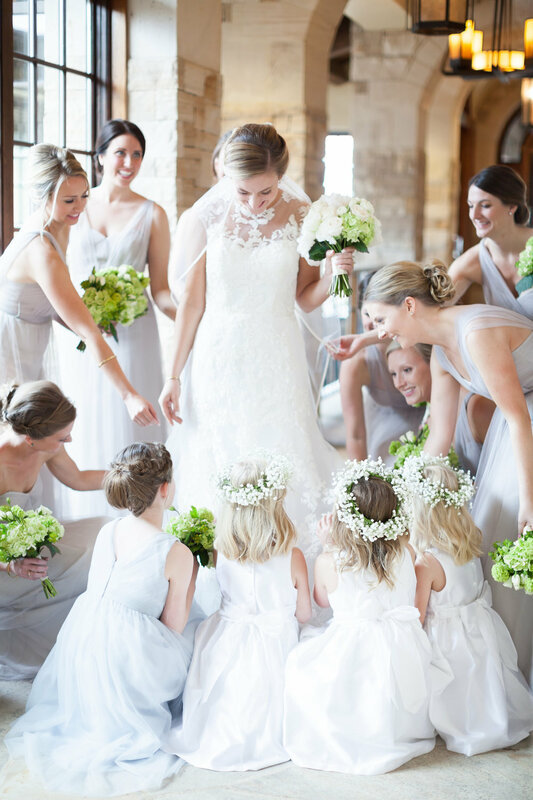 Thank you Amy Caroline for capturing this wedding so beautifully and sharing the photos with us! We are so happy for Molly and Jake and wish them lots of love in their future together!